With a mind mapping approach, your lesson is quicker and better assimilated. It however requires to respect a couple of important steps that will increase your chance to succeed (read more on www.drawmeanidea.com/2012/03/geography-mind-map-of-belgiu...). Using a concrete example, this map represents how to use mind mapping in order to efficiently memorize a lesson. 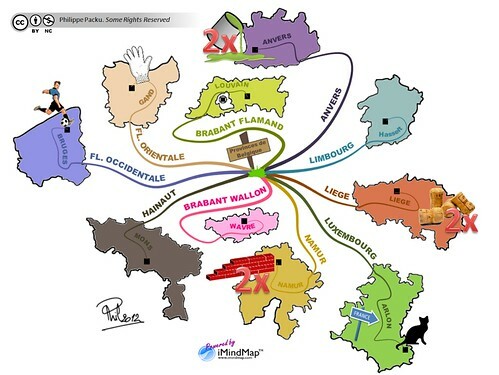 You will also learn what and where are Belgium provinces.